Looking for a great place to spend your holiday? 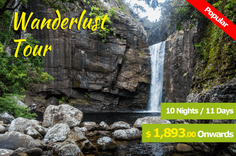 Contact me and start exploring Sri Lanka as your next destinations! So Sri Lanka! 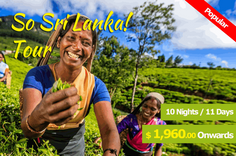 This tour allows you to indulge with the day-to-day lives of the locals and to taste the mouthwatering Sri Lankan dishes while embracing the assorted culture. Wanderlust with Family! Explore remote villages, waterfalls passing through spectacular views. Venture through scenic highlands, ancient monuments and sometimes on the stunning South coast. Hello there! Thank you visiting my website! I am Amaresh from Colombo, Sri Lanka. A travel & tourism management student as well as an entrepreneur behind some startups which are in Information Technology, hotels, travel & tourism. Need a Business Idea? Here are some of my ideas which you can start doing it.